VATICAN CITY (CNS) — Italians have a saying, “Natale con i tuoi, Pasqua con chi vuoi,” which means that one must spend Christmas with family but can spend Easter with whomever one wants. Liturgically, however, the Catholic Church does not agree. Catholics should celebrate the Holy Week and Easter vigil liturgies — the Easter triduum — in their parishes. 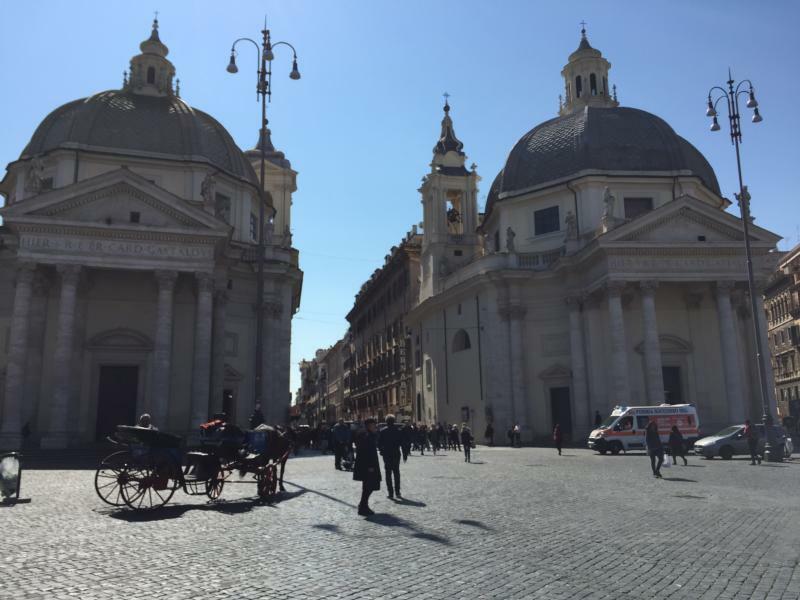 Most Catholics would think, “Where else would I go?” but that is not the case in the center of Rome, where it is only a slight exaggeration to say there can be a church on every corner and all of them are Catholic. The Diocese of Rome has 335 officially established parishes — churches with responsibility for a geographical part of the city and the place where sacramental records of baptisms, confirmations and marriages are kept. But Carmelite Father Giuseppe Midili, director of the diocesan liturgy office, said there are “well over 1,000” churches, chapels and oratories where one or more Masses are celebrated each Sunday and holy day and where baptisms and weddings are celebrated regularly. The sacramental certificates are forwarded to the local parish to be recorded and kept. Within each geographical parish, the Mass schedules at the different churches are slightly staggered, so “if someone does not go to Mass on Sunday, it is only because they do not want to,” he said. While the multiple Mass schedules are convenient, they also can splinter a parish community and contribute to the formation of small, homogeneous groups, he said. Ideally, a parish is a big mix of young and old, richer and poorer, members of the charismatic prayer group and those who sing in the Gregorian chant choir. The episcopal council of the Rome diocese, in a document distributed March 1, said the unity of the diocese — seen especially through the unity of the bishop and pastors of parishes in the celebration of the Eucharist — is especially important to emphasize during the triduum: the Holy Thursday Mass of the Lord’s Supper, the Good Friday liturgy of the Lord’s Passion and the Easter vigil Saturday night. An exception exists for “national churches,” like the U.S. Catholic community at St. Patrick Church in Rome, and for members of the Neocatechumenal Way, whose Vatican-approved statutes allow for small-group celebrations of the Easter vigil, Father Midili said. “The object is not to restrict celebrations, but to create unity,” Father Midili told Catholic News Service. A secondary effect, he said, should be a more beautiful celebration of the liturgies with more priests, readers, servers, cantors and choir members available to contribute. “What the diocese wants to promote is the idea that we are part of a larger community, something that is disappearing,” he said.